The book opens with a review of Ethiopian prehistory, showing how the Ethiopian section of the African Rift Valley has come to be seen as the "cradle of humanity". Richard Pankhurst who has lived in Ethiopia for over thirty years, is Professor at the Institute of Ethiopian Studies, Addis Ababa. His most recent books include A History of Ethiopian Towns from the Middle Ages to the Early Nineteenth Century (1982) and A Social History of Ethiopia (1990), and History of the Ethiopian Borderlands: Essays in Regional History (1997). 2. Punt, Pharaohs and Ptolemies, the Aksumite Kingdom, and the Coming of Christianity. 3. The Zagwé Dynasty, Lalibala Churches, and Solomonic 'Restoration'. 4. Life in the Middle Ages, Contacts with Muslim Neighbours and Far-off Christians. 5. Ahmad ibn Ibrahim, Oromo Migration, and Ottoman Seizure of Massawa. 6. The Move of Capital North-West, and the Roman Catholic Interlude. 7. The Rise and Fall of Gondar. 8. The Early Nineteenth-Century, and the Advent of Téwodros II. 9. Yohannes, Menilek, and the European Powers. 10. Beginnings of Modernisation, Menilek, Iyasu, Zawditu, and Haile Sellassie. 11. Invasion, Occupation, and Liberation. 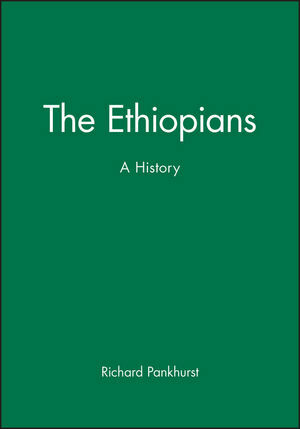 The first complete, scholarly account of the Ethiopian peoples from pre-history to the present. Combines insights from archaeology and history. Examines impact of external influences on political, social and cultural experience of Ethiopian peoples. Sets developments within the context of Africa as a whole.